TGIF! Ahh Friday is finally here. Admit it, your ready for the weekend, just to take a bit of a chill pill for the next few days. If you’re heading to Boston, Massachusetts you might want to hop over to the Isabella Stewart Gardner Museum. New Renzo Piano wing of the Isabella Stewart Gardner Museum / courtesy of Boston Magazine. Located in Boston, the museum hosts exhibitions of historic and contemporary art, as well as concerts, lectures, family and community programs, it even has a changing courtyard display. 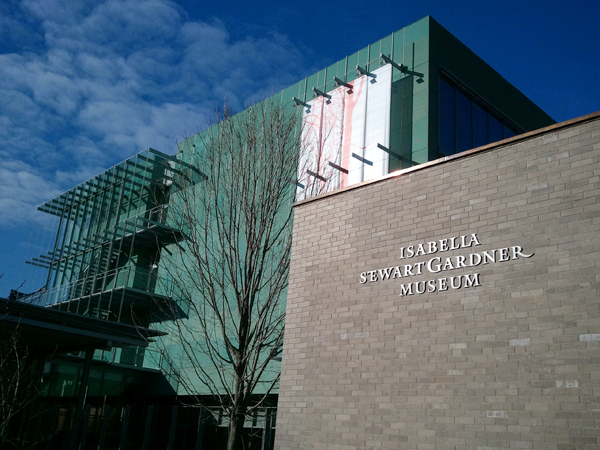 Established in 1903, the museum is named after it’s founder, Isabella Stewart Gardner or “Mrs. Jack”. She was a was an American art collector, philanthropist, patron for the arts, supporter of community social studies and cultural enrichment. The Gardner Museum has exhibitions, activities, etc, etc. There is a lot more at this wonderful museum. To check for hours, admissions, exhibitions, events, join the mailing list and more please go to www.gardnermuseum.org.